This wreath can have three fabrics or hundreds, it's up to you the piecing goes quickly and the blocks nest together well. 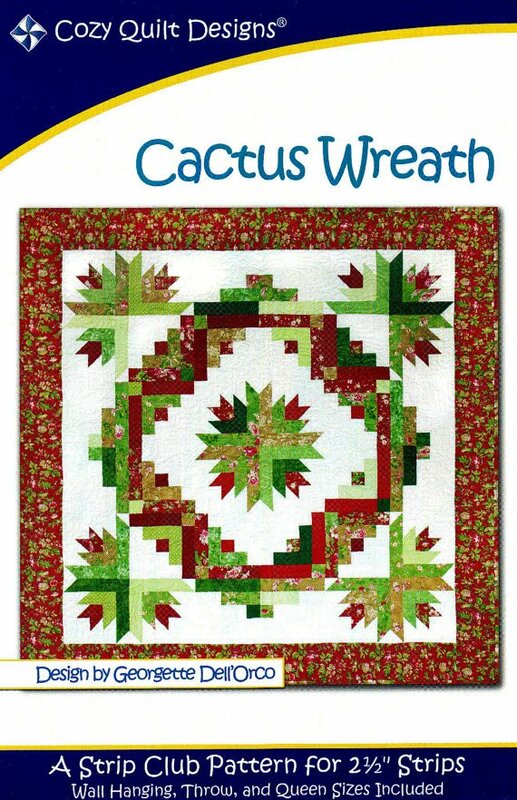 I did it in greens and reds, but choose the colors you would like, it does not have to be in holiday colors. A very nice size throw for the holidays or a gift for a loved one, you should be finished or close after this class. The sample is hanging at the shop and is stunning. This pattern is simple enough for an advanced beginner and intriguing for the seasoned quilter. Come join us in the making of this beautiful quilt! Bring a lunch to eat during class.